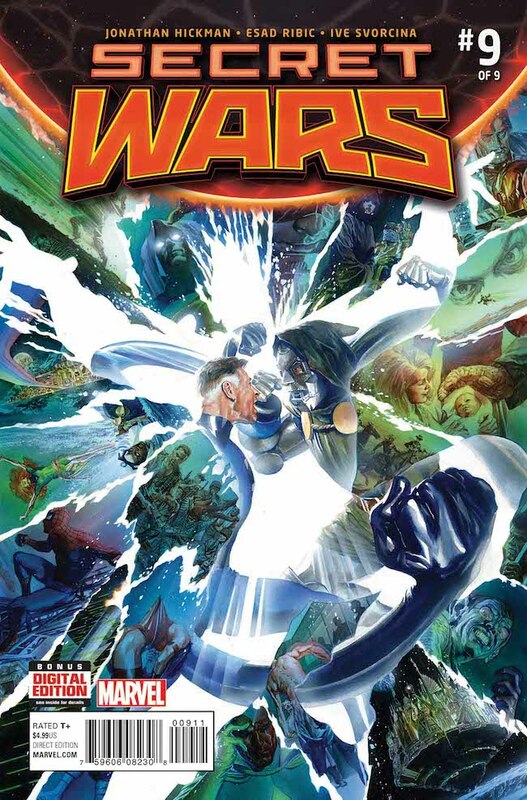 Marvel Comics “Secret Wars” #9 brings the universe shattering story to a conclusion. 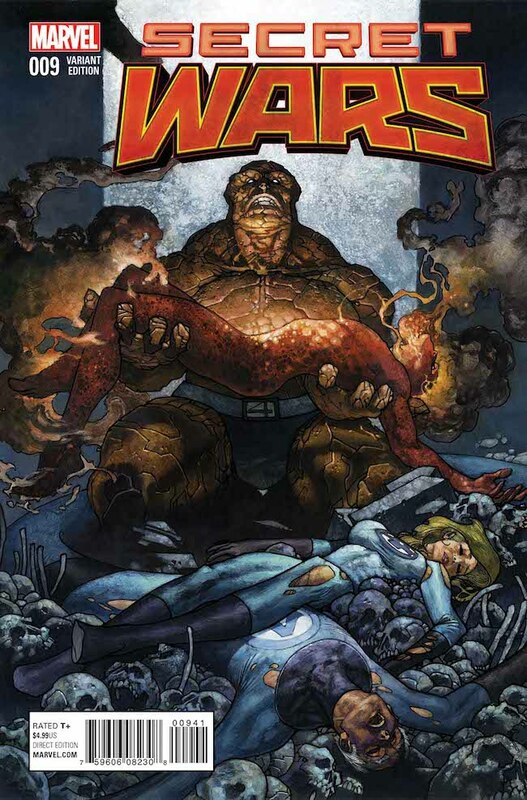 This issue sports a multi-faceted Alex Ross cover and, as has become standard, there are plenty of sublime to totally ridiculous variant covers available for completists to wring their knuckles over. 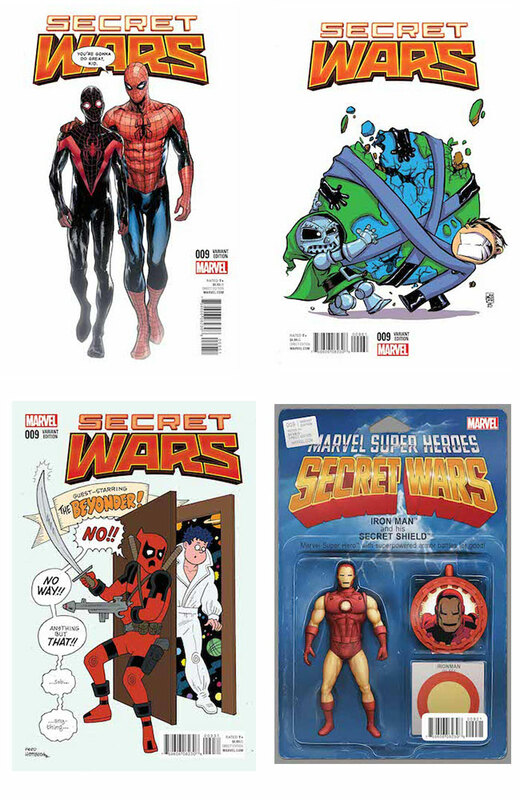 “Secret Wars” #9 collection of variant covers.